Hindi typing is becoming popular these days with the new Hindi typing software. We need Hindi typing for our office work, personal work and for many other reason. In this post we discuss about the Hindi Typing Software, where to download these software and how to install software in your PC or laptop. Hindi typing software may have two categories. Hindi Typing Software :- Software you install for Hindi typing in your PC. These software allows us to type Hindi in computer. Hindi Typing Master Software :- We use for learning Hindi typing and also known as Hindi typing tutor or hindi typing expert. Hindi typing master are used for typing Hindi in your computer or PC. We have English keyboard for typing. These software are used to type Hindi with the help of English keyboard. You need not purchase any Hindi keyboard for this purpose. You just install these software and you can type Hindi in your computer. These software are mostly called transliteration software or language input tools. 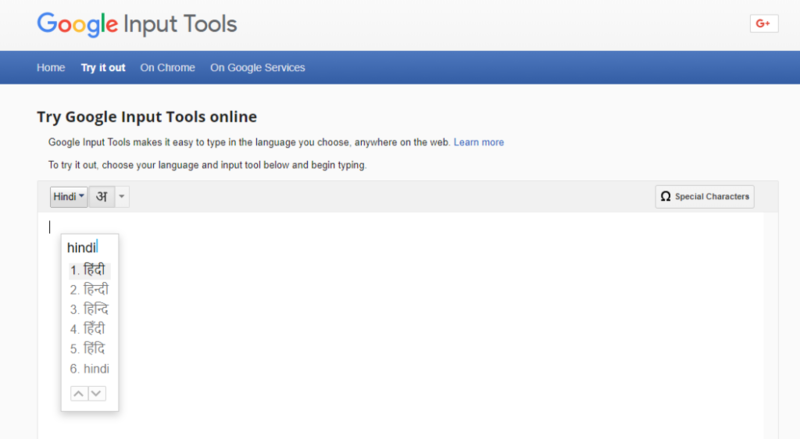 Google Input Tool : It is a free tool developed by Google. 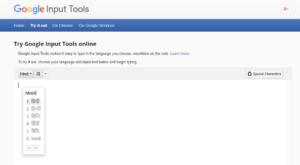 Indic Input Tool 3 : It is also free tool developed by Microsoft. 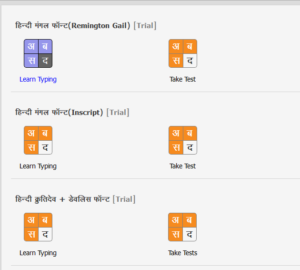 Hindi typing master software teaches Hindi typing. Many students preparing for government job typing tests use these software to learn Hindi typing. We usually call these software with various names such as Hindi typing tutor, Hindi typing master, Hindi typing expert etc. We can only learn Hindi typing with these software but can not type Hindi outside these software that’s why these software are only for learning purpose. Soni Typing Tutor : The only Hindi typing master software that can teach you all type of Hindi typing in easy and fast way. It is India’s most trusted Hindi Typing Master available free to try. Soni Typing Tutor supports all Hindi typing fonts including mangal font, krutidev font and devlys font. Most widely used Hindi typing software for any government typing jobs like Madhya Pradesh CPCT, RSSB LDC, RSSB IA, Allahabad High Court, Rajasthan High Court, UPPCL, RPSC LDC, SSC CHSL, CRPF, CISF, KVS and many more.